The social deathwork: what happens to your Facebook profile when you die? With the social network amassing over 800 million active users each month, the question of what happens to users’ profiles when they die is beginning to get controversial. THEY say there is an app for everything, and death has just joined the list. The new ‘If I Die’ app on Facebook allows users to deliver one last pre-recorded message from beyond the grave. To activate the app, three trustees appointed by the deceased before their demise must confirm and provide evidence to the company that the user has died. When satisfied of the circumstances, the app will post a final video or text message to the user’s wall, for their Facebook friends to see. With 40,000 active monthly users of the app since it launched in January, the morbid no-go subject of death is making its way into the Facebook experience, and some think it’s a good thing. Cruse Bereavement Care counsellor Alison Thompson, who has been liaising with the app’s designers, said: “I think it will get people talking and bring death out of the shadows and out of taboo and could provide comfort to people. “As with anything with grief it’s very individual. I have had people say they have found Facebook memorials quite comforting because it’s not always practical to go and mourn at a graveside. Facebook currently offers a simpler memorial service for users. Once a death is reported to Facebook, the company alters the privacy settings of the deceased user’s profile so that only confirmed friends can see it and it can’t be located through a public search. As Facebook has no policy of automatically deleting or preserving dormant profiles, death must be reported to the site by a lawful representative of the person, and that will require proof. 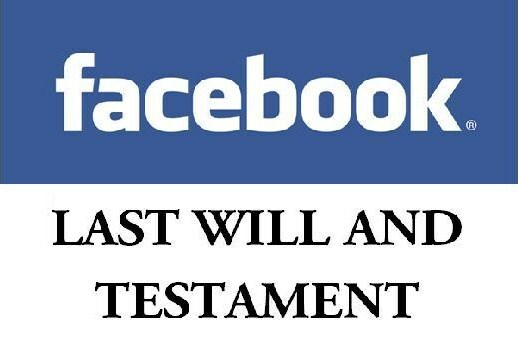 A Facebook spokesperson said: “When a person with a Facebook profile passes away, their relatives can memorialise their account to protect their privacy and create a lasting online tribute. The service requires the company to take on the role of moderator – in the absence of the deceased, any posts deemed controversial by friends can be reported to Facebook, and the company will make a decision on what is appropriate. For Paisley student Ryan Aird, 21, the existence of his uncle Michael’s Facebook profile has been a comfort since his death, albeit a difficult one. “I have him listed as my uncle,” said Ryan, “and although it acts as a painful reminder at times, I would feel it disrespectful if I was to remove him. “He never got round to adding my mum as a friend and because myself and my brother have him listed as family she is often told about his profile via the ‘people you may know’ feature on Facebook, which can be upsetting for her. “My mum has attempted to shut down the page but hasn’t got very far,” he added. Michael died suddenly in August 2011 and his family have found his death difficult to cope with. However, for Ryan, seeing old photographs and reading other people’s memories of his uncle has enabled him to carry on a connection with him beyond the grave. “I often go on his page just to see if anyone has left any new messages, perhaps more about his past and what kind of person he was,” he said. “His ex-wife uploaded loads of pictures of his time in Belgium which are excellent, I often find myself looking through them, trying to gain that connection. The tricky issue of how to deal with user accounts after death has also entered the political arena in the USA. The Uniform Law Commission recently approved a study committee to consider fiduciary power and authority to access online accounts after death and during any period of incapacity. As social networking becomes a normal part of every day life, the legal side of how death is dealt with online is also being confronted. As for the personal aspect, memorial websites are not a new concept and Alison Thompson believes Facebook versions are just the next logical step. She said: “This sort of thing has been around for quite a while. We have memorial sites around the UK so I don’t know if the furore is because of the idea itself or because it’s Facebook. For the millions of Facebook users still in the land of the living, the idea poses searching questions about what people put on their profile pages and how it reflects who they really are. For many, their profiles will become what they are remembered by, a digital gravestone. And with a death app gaining more and more popularity, it seems the virtual land of Facebook is embracing death’s appearance in the online world.